Studio Tamani's mission is to contribute to peace, reconciliation and dialogue between all sectors of the population in Mali. The organisation sees media as having a key role in peacebuilding in Mali by informing people about what is going on, countering rumours and hate speech, and facilitating dialogue between different players in the crisis, thus helping national reconciliation. However, while the current local media landscape is pluralistic, it lacks quality reporting and faces a widespread problem of corruption as well as strong external pressure from political and military authorities. Private and community media sources are often fragile and dependent on political or personal patronage. Studio Tamani responds to this need for independent, reliable news and information with a project that supports existing radio networks and provides programming in the form of national news and debates in five languages, accessible to the entire population. Studio Tamani is designed to meet the particular challenges of national reconciliation and peacebuilding in Mali and is implemented in partnership with URTEL (Union des radios et télévisions libres du Mali), one of the oldest organisations of independent community radio stations in Africa. Tamani, the name of a small djembe drum popular in Malian musical heritage, serves as a positive image for a project focused on facilitating and promoting dialogue between all Malians. Studio Tamani produces news bulletins and other radio programmes designed to help strengthen peace and reconciliation in Mali. It's flagship 'Grand Dialogue' programme discusses the big issues in Malia, and it and Studio Tamani’s other programmes are broadcast by 24 partner radio stations throughout the country. A network of community radio stations also partners with Studio Tamani, broadcasting its programmes for two hours a day throughout Mali in French, Bambara, Sonrhaï, Tamashek and Peulh. Studio Tamani is based in the Maison de la Presse (Press Centre) in Bamako. It is a joint initiative of Mali’s main community radio network URTEL, “peace media” specialist Fondation Hirondelle and the European Union, which provides funding. The Studio Tamani project is part of a wider programme managed by the NGO Interpeace. Some fifteen Malians have been recruited to Studio Tamani’s team. They use their skills and professionalism to produce independent, impartial, and useful information which serves the needs of citizens. The programmes aim to promote dialogue between communities, support the democratic process and help citizens understand what is at stake in Mali’s political reconstruction. Fondation Hirondelle intends this project to boost the capacities of Malian radio stations that are Studio Tamani partners. 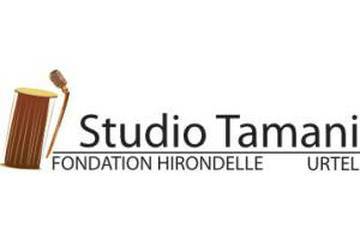 Read about Studio Tamani's work with Fondation Hirondelle here. People could share and advertise the link of the website.